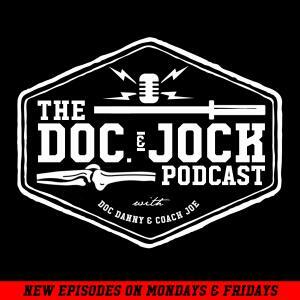 On Episode 161 of the Doc and Jock Podcast Doc Danny sits down to talk about how to assess the cause of anterior shoulder pain and the provides some fixes based on the assessments results. The model that Doc Danny presents is straight out of the Mobility WOD 102 course which has just launched and is touring the country right now, including a stop in Atlanta taught by Doc Danny. If this tip helped, please let us know via an iTunes review. If you have other mobility questions for Danny please submit them via an iTunes review and we will get them answered on the podcast.